Site Updates.. and Marvel Bakugan? A new season and new Bakugan would naturally mean additions to the site. And there are definitely lots of new stuff from Mechtanium Surge. 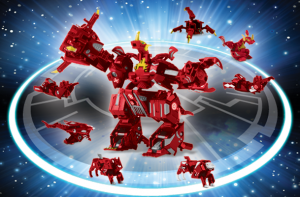 We will be a little reserved on what to share here for a while, however, as Spinmaster hasn't really officially confirmed anything other than the previews and the newly released first wave of Mechtanium Surge Bakugan. 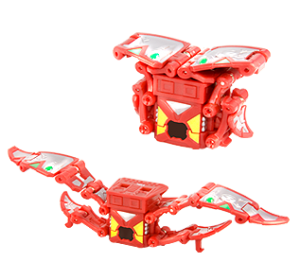 ... which are amusing additions to the Bakugan line. I honestly don't know what to think of them other than that they are really amusing. Who would've thought Marvel heroes could be made into Bakugan balls? 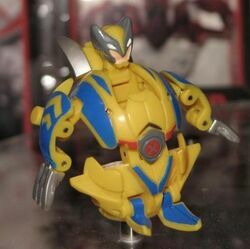 As stated above, there is no word from Spinmaster about the Marvel Bakugan yet. 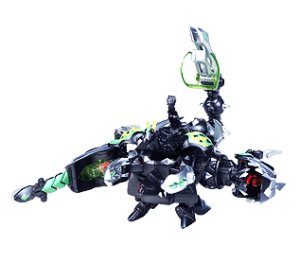 Even Bakugan.com hasn't been updated yet to show the new Mechtanium Surge Bakugan, so we're all still in the dark about what Spinmaster has for us concerning the fourth season. 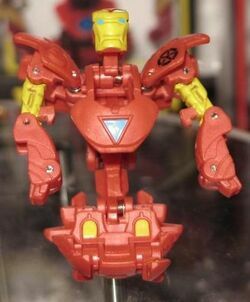 For more pictures of the Bakugan from the New York Toy Fair 2011, go HERE. More additions are being made to the site and we would just like to share them with you. I'm sure you guys have noticed the changes made to the site. We've added some widgets on top of the page, starting with our links to Twitter, Facebook, and Youtube. You'll find them on the upper right. There is also a Search tab on the upper right. Just type in what you are looking for on our site, and it'll show you pages where the word/phrase you've typed in can be found. The last addition that you can see above is the Character Profiles links (along with links to the Attributes and Bakugan Types). They've got different designs, color schemes, and they follow game rules different from the usual ones. In Special Treatment Bakugan, we give you a rundown of these different and rare Bakugan, how to distinguish them, and how to play them. The BakuMutation series was not released in North America, but we still should have a page for it here. For Bakugan collectors, the BakuMutation Bakugan should be one of the must-haves on the list. The BakuStealth series are a Walmart exclusive. They feature Gundalian Invaders Bakugan in four different special series. All are awesome and cool. We've also made a page for these Gundalian Invaders BakuBoost specials. The BakuSuper G Bakugan are Bakugan with G-power levels higher than 900g. Ah well.. all we can do with the BakuTech is drool over them and whine why they're only in Japan. Still, they are a cool part of the Bakugan mania, and so we made a page out of them, too. For the past few weeks, we've been updating some of the pages here in our site, mainly about the Bakugan Gameplay and adding the new card sets in the database. There's nothing new to the Gameplay for those who have already read the official rulings. But if there are questions or any clarifications, then please do not hesitate to send us an email or go through our forums. For the Bakugan Cards database, we added 4 card sets. The 47e card set has incomplete pictures of the cards, from 41e to 47e. These last seven cards are not yet shown on Bakugan.com . 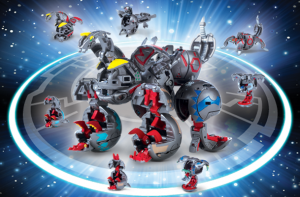 We announced last week that we now have the Dragonoid Colossus available on our Bakugan store. Well, we added some more items and right now we have Bakugan Packs and the Dharak Colossus available, too. 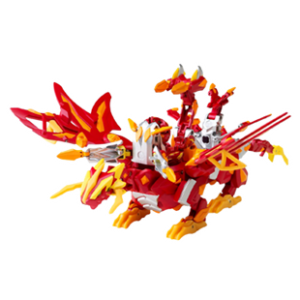 We also still have the Maxus Dragonoid and Maxus Helios, as these two are still popular even with the Colossus Bakugan out. Members of the Bakugan community may have already heard all the buzz about what to expect from the Bakugan Team after the Gundalian Invaders waves. Let us just make a recap of those that have some confirmations with them... plus some site updates. 1. It has been announced months earlier that there are already plans for the fourth season, and it is going to be entitled Bakugan: Mechtanium Surge. As to what this season will be about, we still have no idea. So far the only thing that is certain here is the title. 2. There will be more Bakugan Mobile Assault out, too! 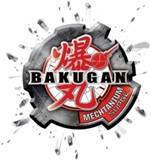 There are some pictures circulating around, with the Bakugan: Mechtanium Surge logo on the packs. Aside from those pictures, however, there are no confirmed info on them, so we cannot say anything else at this point. 3. Regarding the current season, Bakugan: Gundalian Invaders, while many of us would like the series to be 50+ episodes long like the previous two seasons, there has been no changes in the length. The season maintains its 39-episode stance. And given by how the story has moved along so far, it seems to be right. 5. Everyone is agreed now that the Cross Buster and the Explosix Gear is the same battle gear, right? Feel free to contact us through email or through the comments section if you have any questions, suggestions, or corrections.